I'm really excited and wanted to share some news with you. I have joined the Design Team at The Project Bin! you'll want to head over there and take a look. They specialize in clear word art sentiment stamps. My stamps haven't arrived yet but I'll be sharing lots of projects as soon as they do. So...that brings me to the good news for all of you! 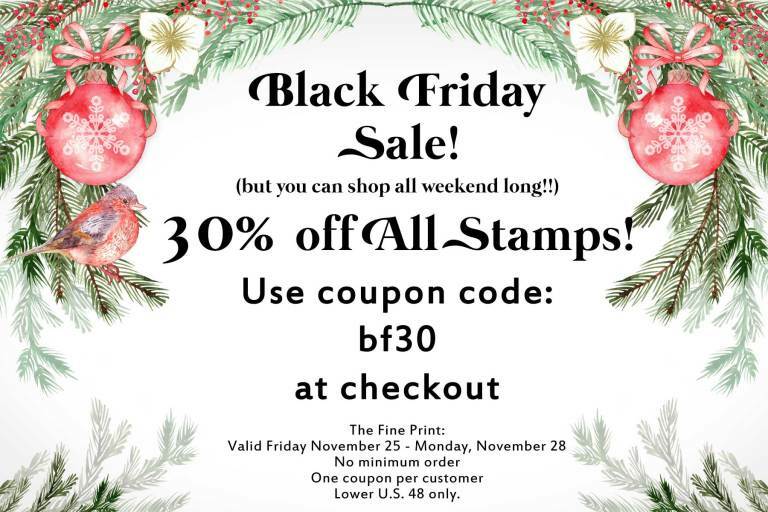 The Project Bin is having a wonderful Black Friday Sale! 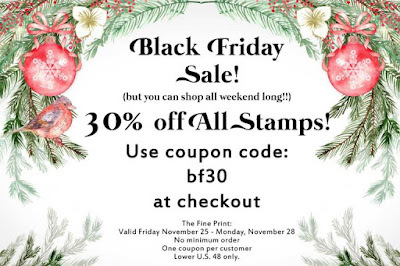 The sale begins on Friday and runs all weekend!